In the real world most GreenGreenWorld readers inhabit rather than the Parallel Universe of the last post, the Europa League Final of 18th May 2011 was a source of a little rather than a lot of comfort for Celtic supporters. The final was contested by the two teams, Braga and Porto, that had ended the European dreams of both Celtic and their favourite Spanish club Villarreal. When Celtic were drawn against Braga in the penultimate Playoff Round for the 2010-11 Champions league most Celtic supporters had assumed their club would qualify easily enough for the Final Playoff Round and began immediately to worry more about the better class of opponent they might face there. In the event Celtic were outplayed quite easily by Braga over the two legs of the tie. 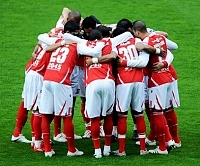 Braga, a team without stars, were the more coherent, better organised side and deserved their unexpected victory. Even so, when they were drawn against Spanish neighbours Sevilla in the Final Playoff Round most Braga supporters assumed they would have to settle for the automatic place in the Europa League Group stages that defeat would bring them. With Celtic drawn against weak Dutch opponents Utrecht in the Europa League Final Playoff Round some Braga and Celtic fans indeed wondered if a rematch might be possible. In one of the major shocks in Champions League qualification history, Braga outplayed Sevilla comprehensively to qualify for the Group Stages while at the same time in one of the more shocking mishaps in Europa League qualification history, Celtic caved ignominiously before an astonished Utrecht side. Braga, using some of the guaranteed Champions League receipts to sign players like Hugo Vianna (recommended by GGW to Celtic as the class midfield general they lacked), acquitted themselves well in the Group Stage managing to achieve third place and a spot in the last 32 Knockout Stages of the Europa League. (Utrecht failed to make the last 32). There the Braga fairy tale continued with successive wins against Lech, Liverpool, Dynamo Kiev and Benfica, all of whom had been favoured to finally put the Braga minnows in their place. But as it turned out their place was to prove to be Dublin, scene of the Europa League Final. In the other half of the draw Porto had demonstrated the same class with which they had totally dominated the Portuguese League, winning the title weeks before the end without losing a single game. The new Porto coach, 33 year old Andre Villas-Boas, inevitably dubbed the new Mourinho after working with the Special One as a young assistant in Porto, Chelsea and Inter; had his Porto team playing more exciting attacking football than Mourinho ever did. In the quarter finals they took 10 goals off Russian runners up Spartak Moscow to qualify for a semi final tie with Celtic favourites Villarreal. The Spanish club from the town of Vila-real, whose total population is less than Celtic’s average crowd, had failed to qualify for the Europa League, finishing 7th in La Liga in a season in which they had been temporarily in bottom place. However a brilliant off field campaign by the Villarreal hierarchy saw Mallorca booted out on debt grounds and their place given at the last minute to a well prepared Villarreal. Villarreal seized the opportunity with both hands and reached the semi-finals playing scintillating attacking football, seeing off in the process the second placed teams in the Italian and German leagues, and then the Dutch champions and league leaders. Just before the first leg semi-final tie in Porto, almost 100 of the Villarreal Celtic Submari Penya had made their annual pilgrimage to Glasgow to further sustain their ongoing relationship with the Celtic club and family. In conversation most had been quietly confident that their time had come and that Villarreal at last would win their first trophy, in Dublin. At half time in the first leg against Porto that quiet confidence had seemed justified as Villarreal, after scorning several chances opened up by the highness of the Porto back line and the speed of Rossi and Nilmar, their world class forward pairing, finally taking the lead just before half time with a crucial away goal. However in the second half a combination of on the Porto side a brilliant half time team talk by Villas-Boas which sorted out both their tactical ineptness and their lackadaisical attitude. And on the Villarreal side, a tiredness caused by the pursuit of Champions League qualification and Copa del Rey success at the same time as Europa League glory, combined with the naivety of a defence that had spent the previous season in the Spanish Second Division, allowed Porto to grab a stunning 5-1 victory. The recent history of Villarreal has been one miracle after another, as outlined in the forthcoming book “Yellow Submarine the miracle of Villarreal CF” to be published by Ringwood Publishing. So many of the Villarreal supporters who turned up en masse for the second leg at a sold out Madrigal stadium half believed another miracle to be possible. Garrido sent out a team with 3 forwards, geared up to attacking and delivering the 4-0 victory necessary. They gave it a bold try but in the end it was a mission impossible. Villarreal did win3-2, in the process stopping the Porto run of away victories. Honour was satisfied, the bond between town and team was further reinforced, but it was Porto who earned the date in Dublin. Particularly given the history of 2003 most Celtic supporters watching the Final were supporting Braga. By the same rule, that it is always good when the side that eliminates you wins the trophy, most Villarreal supporters were rooting for Porto. In the event Porto won much more comfortably than the 1-0 score line suggested. The only goal was another brilliant header from Falcao that made Villarreal fans wince in painful recognition, but Braga never looked like winning. Andre Villas-Boas who became the youngest manager ever to win a European club trophy, apologised to the football world after the game because his team had not reproduced their magical form of earlier in the tournament but he did not need to beat himself up. Porto showed enough good football to demonstrate they were a far better team than Braga, and are one of the top club sides in the world. If they can keep a hold of Villa-Boas, and Falcao and Hulk, they must be one of the favourites for the 2011-12 Champions League. Villarreal fans were left with the painful knowledge that if they had eliminated Porto, as they so nearly did, then they would almost certainly have outplayed Braga and won their first ever trophy. Celtic fans while realistic enough to know that their current team could not have lived with this Porto side, were able to draw some comfort from the knowledge that the team that ruined their Champions League aspirations proved good enough to get to a European Final. 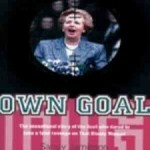 They would draw less positive inspiration from the knowledge that Utrecht did not even prove good enough to qualify for any form of European football, finishing 9th in the Dutch League.